2. Aylaz, Rukuye, ve Sevda Aydın. 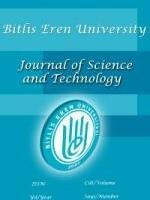 Yıldırım Beyazıt University Nursing e-Journal 2, no. 3 (2014): 1-11. 3. Bağcı, Songül. Investigation of Anxiety Levels and Determinants of Nurses Working in Intensive Care Units. Afyon KARAHISAR: Afyon Kocatepe University, Institute of Health Sciences, Department of Surgical Diseases Nursing, Master Thesis, July 2012. 4. Baş, Mevlüde.Mobbing and Anxiety in Nurses Working in an Educational Research Hospital. Konya: Selçuk University, Institute of Health Sciences, Department of Public Health Dept., M.Sc. Thesis, 2012. 5. Çiftci, Eda.. Anxiety and Depression Levels of Intensive Care Nurses and Factors Affecting. Istanbul: Istanbul University, Institute of Health Sciences, Department of Surgical Diseases Nursing, Master Thesis, 2010. 6. Demir, Ayten. An Overview of Exhaustion in Nursing »Journal of Anatolian Nursing and Health Sciences 7, no. 1 (2004). 7. Karamustafalıoğlu, Oğuz, et al. «A Tool That Can Predict Suicide: Hospital Anxiety and Depression Scale.» Düşünen Adam Psychiatry and Neurological Sciences Review 23, no. 3 (September 2010): 151-157. 8. Kat Bektaş, Didem. Anxiety Depression Levels and Quality of Life in Patients with Gastrointestinal System Cancer. Gazi University, Institute of Health Sciences, Nursing Program, Master Thesis, August 2014. 9. Kızılırmak, Merve.Determination of Depression and Quality of Life Levels of Nurses Working in the Hospital. Ankara: Gazi University, Institute of Health Sciences, Department of Nursing, M.Sc. Thesis, December 2014. 10. Metin, Özgür, ve Fadime Gök Özer. «Determination of the level of exhaustion of nurses.» Atatürk University Nursing School Magazine 10, no. 1 (2007): 58-66. 11. Muşlu, Cemil, Davut Baltacı, Remzi Kutanis, ve İsmail Hamdi Kara.«Anxiety, Depression and Quality of Life in Primary Care and Hospital Nurses» Konuralp Medical Journal 4, no. 1 (2012): 17-23. 12. Polat, Ayşegül. Analysis of Sociodemographic Characteristics and Anxiety Levels of Patients Treated at Hospital. Üsküdar University, Institute of Social Sciences, Department of Clinical Psychology, M.Sc. Thesis, 2016. 13. Saygın, Mustafa, Selçuk Yaşar, Gürsel Çetinkaya, Mustafa Kayan, Mehmet Fehmi Özgüner, ve Cafer Çağrı Korucu. «Depression and Anxiety Levels in Radiology Workers» S.D.U. Journal of Health Sciences Institute, 2011: 139-144. 14. Selvi, Yavuz, Pınar Güzel Özdemir, Osman Özdemir, Adem Aydın, ve Lütfullah Beşiroğlu.«The General Spiritual Symptoms Caused by the Shift Worker System in Health Care Workers and Their Impact on Quality of Life.» Thinking Man Journal of Psychiatry and Neurological Sciences, December 2010: 238-243. 15. Taycan, Okan, Leman Kutlu, Selma Çimen, ve Nurcan Aydın. "Depression and burnout in nurses working in a university hospital are related to sociodemographic characteristics." Anadolu Psikiyatri Dergisi, 2006: 100-108. 16. Yeşilçicek Çalık, Kıymet, Songül Aktaş, Hacer Kobya Bulut, ve Elif Özdaş Anahar. «The Effect of Working Order on Shift and Seizure System on Nurses» Journal of Health Sciences and Occupations 1, no. 1 (2015): 33-45.